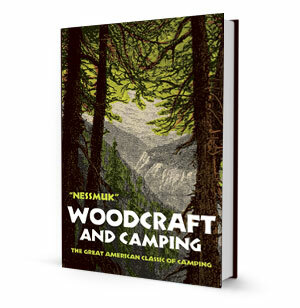 Written at a time when woodlore and woodcraft were vital skills, and when America's wilderness regions offered a true opportunity for "roughing it," this book has remained a classic through three or four generations of readers. The author, George W. Sears, is best known as "Nessmuk" and if there ever was a Daniel Boone, this must have been the man! His knowledge of how to get along on camping, hiking, and hunting trips--and of how to get the most out of such experiences--is unsurpassed. A diminutive man he was a pioneer of lightweight camping. His writing has endured through the years and his prose is still relevant today. Great lessons on how to camp, fish, build a fire and much more. You are not a true citizen of the woods until you read this book.